THE RAPID GROWTH OF THE MOVEMENT compelled us in 1922 to take a position on a question which even today is not entirely solved. In our attempts to study those methods which could most easily open up to the movement the way to the hearts of the masses, we always encountered the objection that the worker could never be entirely with us because the defense of his interests in the purely occupational and economic field lay in the hands of our enemies and their organizations. This objection, of course, had much to be said for it. It was a matter of general belief that the worker who was active in a factory could not even exist unless he became a member of a union. Not only that his occupational interests seemed protected by this alone, but his position in the factory for any length of time was conceivable only as a union member. The majority of the workers were organized in trade unions. These, on the whole, had fought out the wage struggles and concluded the agreements which assured the worker of a certain income. Without doubt the results of these struggles benefited all the workers in the factory, and inevitably conflicts of conscience arose, especially for the decent man, if he pocketed the wage which the unions had won him, but remained aloof from the struggle. It was hard to speak of these problems with the average bourgeois employer. They neither had (or perhaps wanted to have) any understanding for the material side of the question nor for the moral side. Finally, their own supposed economic interests argue from the start against any organizational grouping of the workers under them, and for this reason alone most of them can hardly form an unprejudiced judgment. Here, as so often, it is therefore necessary to turn to outsiders who do not succumb to the temptation of not seeing the forest for the trees. These, with good will, will much more easily achieve understanding for a matter which in any event is among the most important of our present and future life. In the first volume I have expressed myself with regard to the nature and purpose, and the necessity, of trade unions. There I espoused the viewpoint that, as long as no change in the attitude of employer to worker is brought about either by state measures (which for the most part, however, are fruitless) or by a universal new education, there remains nothing for the worker to do but stand on his rights as an equal contracting party and defend his own interests in economic life. I further emphasized that safeguarding his interests in this way was entirely compatible with a whole national community if it can prevent social injustices which must subsequently bring about excessive damage to the entire community of a people. I further declared that this necessity must be considered to prevail as long as there exist among employers men who, left to themselves, not only have no feeling for social duties, but not even for the most primitive human rights; and from this I drew the inference that, once such a self-defense is regarded as necessary, its form can reasonably exist only in a grouping of workers on a trade-union basis. And in the year 1922 nothing changed in this general conception of mine. But now it was necessary to seek a clear and definite formulation of our attitude toward these problems. It was not acceptable to content ourselves in future with mere knowledge; it was necessary to draw practical inferences from it. 1. Are trade unions necessary? 2. Should the NSDAP itself engage in trade-union activity or direct its members to such activity in any form? 3. What must be the nature of a National Socialist trade union? What are our tasks and aims? 4. How shall we arrive at such unions? I believe that I have adequately answered the first question. As things stand today, the trade unions in my opinion cannot be dispensed with. On the contrary, they are among the most important institutions of the nation's economic life. Their significance lies not only in the social and political field, but even more in the general field of national politics. A people whose broad masses, through a sound trade-union movement, obtain the satisfaction of their living requirements and at the same time an education, will be tremendously strengthened in its power of resistance in the struggle for existence. Above all, the trade unions are necessary as foundation stones of the future economic parliament or chambers of estates. The second question, too, is easy to answer. If the trade-union movement is important, it is clear that National Socialism must take a position on it, not only from the purely theoretical, but from the practical viewpoint as well. Yet, to be sure, the how of it is harder to clarify. The National Socialist movement, which envisions the National Socialist folkish state as the aim of its activity, cannot doubt that all future institutions of this state some day to be must grow out of the movement itself. It is the greatest error to believe that suddenly, once we have power, we can undertake a definite reorganization out of the void, unless we previously possess a certain basic stock of men who above all have been educated with regard to loyalty. Here, too, the principle applies that more important than the outward form, which can be created mechanically and very quickly, remains the spirit which fills such a form. For instance, it is quite possible dictatorially to graft the leader principle on a state organism by command. But it will only be alive if it has gradually taken shape from smallest beginnings in a development of its own, and, by the constant selection which life's hard reality incessantly performs, has obtained in the course of many years the leader material necessary for the execution of this principle. And so we must not imagine that we can suddenly pull the plans for a new state form out of a briefcase into the light of day and 'introduce' them by decree from above. Such a thing can be attempted, but the result will surely be incapable of survival, in most cases a stillborn child. This reminds me of the beginning of the Weimar régime and the attempt to present the German people with not only a new régime, but a new flag which had no inner bond with the experience of our people in the last half century. The National Socialist state must beware of such experiments. It can, when the time comes, only grow out of an organization that has long existed. 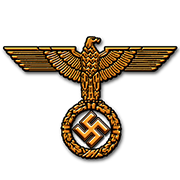 This organization must possess National Socialist life innate within itself, in order to finally create a living National Socialist state. As already emphasized, the germ cells for the economic chambers will have to reside in bodies representing the most varied occupations, hence above all in the trade unions. And if this future body representing the estates and the central economic parliament are to constitute a National Socialist institution, these important germ cells must also embody a National Socialist attitude and conception. The institutions of the movement are to be transferred to the state, but the state cannot suddenly conjure up the required institutions from the void, unless they are to remain utterly lifeless structures. From this highest standpoint alone, the National Socialist movement must recognize the necessity of a trade-union activity of its own. It must, furthermore, do so because a truly National Socialist education of employers as well as workers, in the sense of an integration of both into the common framework of the national community, does not come about through theoretical instruction, proclamations, or remonstrances, but through the struggle of daily life. In it and through it the movement must educate the various great economic groups and bring them closer to one another on the main issues. Without such preliminary work, all hope that a true national community will some day arise remains pure illusion. Only the great philosophical ideal for which the movement fights can slowly form that universal style which will some day make the new era seem really solidly founded within, and not just outwardly manufactured. And so the movement must not only take an affirmative attitude toward the idea of the trade union as such, but it must by practical participation impart to the multitudes of its members and supporters the necessary education for the coming National Socialist state. The answer to the third question follows from what has previously been said. The National Socialist trade union is no organ of class struggle, but an organ for representing occupational interests. The National Socialist state knows no 'classes,' but politically speaking only citizens with absolutely equal rights and accordingly equal general duties, and, alongside of these, state subjects who in the political sense are absolutely without rights. The trade union in the National Socialist sense does not have the function of grouping certain people within a national body and thus gradually transforming them into a class, to take up the fight against other similarly organized formations. We can absolutely not impute this function to the trade union as such; it became so only in the moment when the trade union became the instrument of Marxist struggle. Not the trade union is characterized by class struggle; Marxism has made it an instrument for the Marxist class struggle. Marxism created the economic weapon which the international world Jew uses for shattering the economic base of the free, independent national states, for the destruction of their national industry and their national commerce and, accordingly, the enslavement of free peoples in the service of supra-state world finance Jewry. In the face of this, the National Socialist trade union must, by organizationally embracing certain groups of participants in the national economic process, increase the security of the national economy itself and intensify its strength by the corrective elimination of all those abuses which in their ultimate consequences have a destructive effect on the national body, injure the vital force of the national community, and hence also of the state, and last but not least redound to the wrack and ruin of the economy itself. 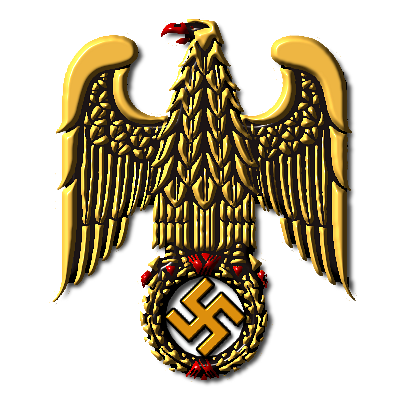 Hence, for the National Socialist union the strike is not a means for shattering and shaking national production, but for enhancing it and making it run smoothly by combating all those abuses which, due to their unsocial character, interfere with the efficiency of the economy and hence the existence of the totality. For the efficiency of the individual always stands in a casual connection with the general legal and social position that he occupies in the economic process and with his understanding, resulting from this alone, of the necessity that this process thrive for his own advantage. The National Socialist worker must know that the prosperity of the national economy means his own material happiness. The National Socialist employer must know that the happiness and contentment of his workers is the premise for the existence and development of his own economic greatness. National Socialist workers and National Socialist employers are both servants and guardians of the national community as a whole. The high degree of personal freedom that is granted them in their activity can be explained by the fact that, as experience shows, the efficiency of the individual is increased much more by far-reaching freedom than by compulsion from above, and, furthermore, it is calculated to prevent the natural process of selection, which advances the most efficient, capable, and industrious from being thwarted. 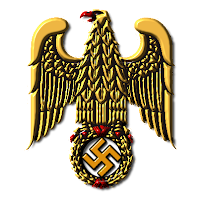 For the National Socialist union, therefore, the strike is an instrument which may and actually must be applied only so long as a National Socialist folkish state does not exist. This state, to be sure must, in place of the mass struggle of the two great groups - employers and workers - (which in its consequences always injures the national community as a whole by diminishing production) assume the legal care and the legal protection of all. Upon the economic chambers themselves it will be incumbent to keep the national economy functioning and eliminate the deficiencies and errors which damage it. The things for which millions fight and struggle today must in time be settled in the chambers of estates and the central economic parliament. Then employers and workers will not rage against one another in struggles over pay and wage scales, damaging the economic existence of both, but solve these problems jointly in a higher instance, which must above all constantly envision the welfare of the people as a whole and of the state, in gleaming letters. Here, too, as everywhere, the iron principle must prevail that first comes the fatherland and then the party. 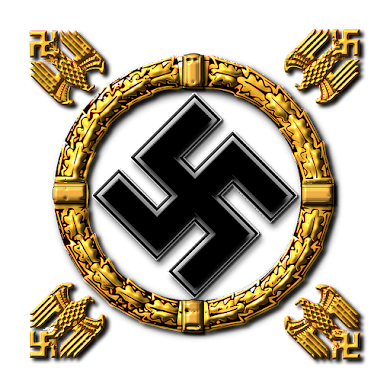 The function of the National Socialist union is the education and preparation for this aim itself, which is: All working together for the preservation and safeguarding of our people and our state, in accordance with the abilities and strength innate in the individual and trained by the national community. The fourth question: How do we arrive at such unions? seemed at the time by far the hardest to answer. It is in general easier to found an institution on new soil than in an old territory that already possesses a similar institution. In a town where no store of a certain type is present, it is easy to establish such a store. It is harder when a similar enterprise already is present, and hardest of all when the conditions are such that only one alone can prosper. For here the founders face the task of not only introducing their own business, but they must, in order to exist, destroy the one that has previously existed in the town. A National Socialist union side by side with other unions is senseless. For it, too, must feel itself permeated by its philosophical task and the resultant obligation to be intolerant of other similar, let alone hostile, formations and to emphasize the exclusive necessity of its own ego. Here, too, there is no understanding and no compromise with related efforts, but only the maintenance of our absolute sole right. (2) penetrate the Marxist unions and try to fill them with the new spirit; in other words, transform them into instruments of the new ideology. To the first method there were the following objections: Our financial difficulties at that time were still very considerable, the means that stood at our disposal were quite insignificant. The gradually and increasingly spreading inflation made the situation even more difficult, since in those years one could hardly have spoken of any tangible benefit to the member from the trade union. The individual worker, viewed from his own standpoint, had no ground at that time to pay dues to the union. Even the already existing Marxist unions were on the point of collapse until suddenly, through Herr Cuno's brilliant Ruhr action, the millions fell into their lap. This so-called 'national' chancellor may be designated as the savior of the Marxist unions. At that time we could not count on such financial possibilities; and it could allure no one to enter a new union which, owing to its financial impotence, could not have offered him the least benefit. On the other hand, I must sharply oppose creating such an organization as a soft spot for more or less great minds to take refuge in. All in all, the question of personalities played one of the most important parts. At that time I had not a single personality whom I would have held capable of solving this gigantic task. Anyone who at that time would really have shattered the Marxist unions, and in place of this institution of destructive class struggle, helped the National Socialist trade-union idea to victory, was among the very great men of our people, and his bust would some day have had to be dedicated to posterity in the Valhalla at Regensburg. But I did not know of any head that would have fitted such a pedestal. It is absolutely wrong to be diverted from this view by the fact that the international trade unions themselves have only average minds at their disposal. This in reality means nothing at all; for at the time when they were founded, there was nothing else. Today the National Socialist movement must combat a colossal gigantic organization which has long been in existence, and which is developed down to the slightest detail. The conqueror must always be more astute than the defender if he wants to subdue him. The Marxist trade-union fortress can today be administered by ordinary bosses; but it will only be stormed by the wild energy and shining ability of an outstanding great man on the other side. If such a man is not found, it is useless to argue with Fate and even more useless to attempt forcing the matter with inadequate substitutes. Here we must apply the maxim that in life it is sometimes better to let a thing lie for the present than to begin it badly or by halves for want of suitable forces. There was also another consideration which should not be designated as demagogic. I had at that time and still possess today the unshakable conviction that it is dangerous to tie up a great politico-philosophical struggle with economic matters at too early a time. This is particularly true with our German people. For here, in such a case, the economic struggle will at once withdraw the energy from the political struggle. Once people have won the conviction that by thrift they can acquire a little house, they will dedicate themselves only to this task and will have no more time to spare for the political struggle against those who are planning to take away their saved-up pennies some day in one way or another. Instead of fighting in the political struggle for the insight and conviction they have won, they give themselves up entirely to their idea of 'settlement,' and in the end as a rule find themselves holding the bag. The National Socialist movement today stands at the beginning of its struggle. 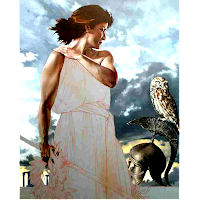 In large part it has still to form and complete its philosophical picture. It must fight with all the fiber of its energy for the accomplishment of its great ideas, and success is thinkable only if all its strength goes completely into the service of this fight. The revolution of November, 1918, was not made by trade unions, but was accomplished against them. And the German bourgeoisie is carrying on no political struggle for the German future because it believes this future to be sufficiently guaranteed by the constructive work in the economic sphere. We should learn from such experiences; for it would be no different with us. The more we muster the entire strength of our movement for the political struggle, the sooner may we count on success all along the line; but the more we prematurely burden ourselves with trade-union, settlement, and similar problems, the smaller will be the benefit for our cause taken as a whole. For important as these matters may be, their fulfillment will only occur on a large scale, when we are in a position to put the state power into the service of these ideas. Until then, these problems would paralyze the movement all the more, the sooner it concerned itself with them and the more its philosophical will was limited by them. Then it might easily come about that trade-union motives would guide the movement instead of the philosophy forcing the trade union into its channels. Real benefit for the movement as well as our people can only arise from a trade-union movement, if philosophically this movement is already so strongly filled with our National Socialist ideas that it no longer runs the risk of falling into Marxist tracks. For a trade-union movement which sees its mission only in competition with the Marxist unions would be worse than none at all. It must declare war on the Marxist union, not only as an organization, but above all as an idea. In the Marxist union it must strike down the herald of the class struggle and the class idea and in its stead must become the protector of the occupational interests of German citizens. All these criteria then argued and still argue against the foundation of our own trade unions, unless suddenly a man should appear who is obviously chosen by Fate for the solution of this very question. And so there were only two other possibilities: either to recommend that our own party comrades leave the unions, or that they remain in them and work as destructively as possible. In general I recommended this latter way. Especially in the year 1922-23 this could be done without difficulty; for the financial benefit which during the inflation period accrued to the trade union from our members in their ranks, who due to the youth of our movement were not yet very numerous, was practically nil. But the damage to it was very great, for the National Socialist supporters were its sharpest critics and thus its inner disrupters. At that time I totally rejected all experiments which contained the seeds of failure to begin with. I would have viewed it as a crime to take so and so much of a worker's meager earnings for an institution of whose benefit to its members I was at heart not convinced. If one fine day a new political party disappears, it is scarcely ever a loss but almost always a benefit, and no one has any right to moan about it; for what the individual gives to a political movement, he gives à fonds perdu. But anyone who pays money into a union has a right to the fulfillment of the promised return services. If this is not taken into account, the leaders of such a union are swindlers, or at least frivolous characters who must be called to account. And in 1922 we acted according to this view. Others thought they knew better and founded trade unions. They attacked our lack of unions as the most visible sign of our mistaken and limited views. But it was not long before these organizations themselves vanished, so that the final result was the same as with us. Only with the one difference, that we had deceived neither ourselves nor others.